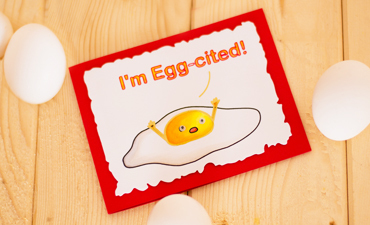 This silly card uses the pen tool, and embossing pen, and comic markers to create a truly egg-ceptional card! 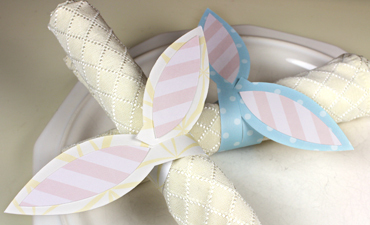 These adorable bunny ear napkin rings are as quick and easy as you can possibly have making them the perfect last minute touch to you Easter spread! Beginner friendly and done in 15 minutes or less! Decorating Easter Eggs is so fun and turns out, making them digitally is just as fun. This pattern has tops, centers, bottoms, titles, and card bases that you can mix and match for hundreds of unique egg designs! 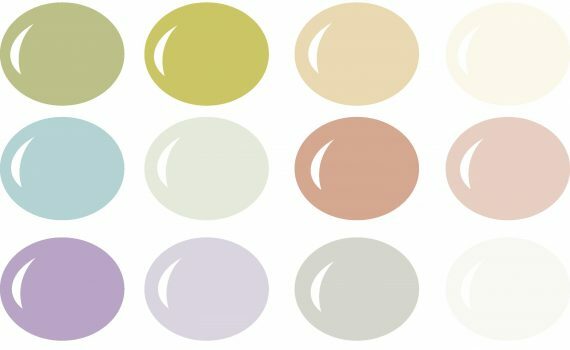 Pretty pastel colors in basic patterns harkening to Easter and spring! 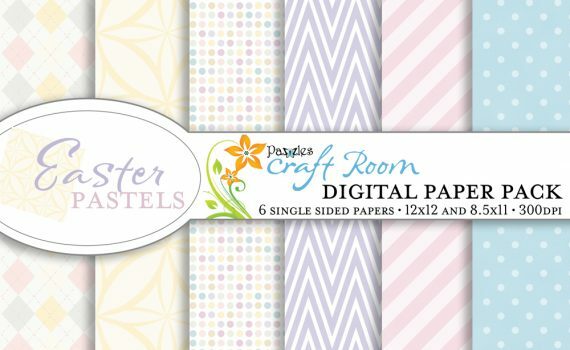 Enjoy these pretty patterns when you want some soft and happy papers for your project! 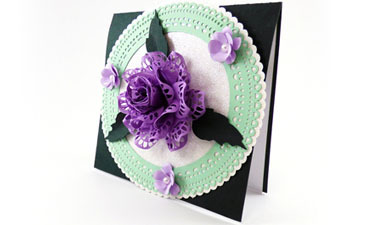 A beautiful 7”x5.5” mini album can hold 6 large photos, or up to 12 smaller photos. 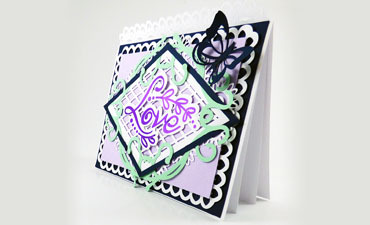 Doubles as a card or as an insert for a flip fold album or full size scrapbook. 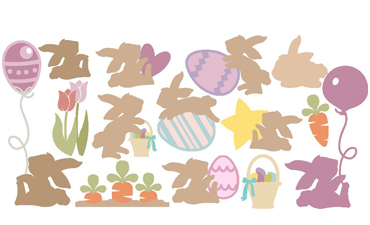 A collection of 14 bunnies hanging out with their delicious carrots, sitting in the flowers, and carrying around giant Easter eggs. 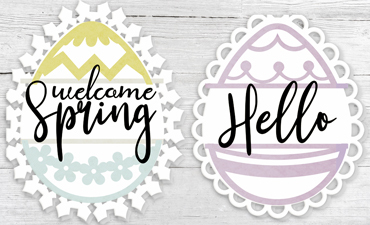 Perfect for Easter, spring themes, a nursery room or birth announcement! 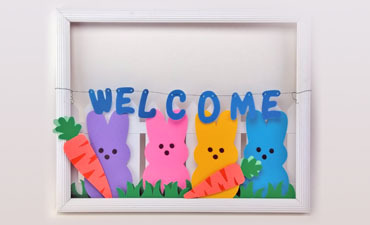 This fun Easter sign is a quick and fun way to add a special Welcome sign to your home. All you need is paper, a little craft wire, and an old frame! 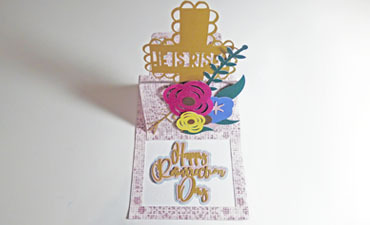 This popup style slider card provides a very nice platform for an Easter card with a lovely garden scene with a lacy cross, flowers and foliage. When the slider tag is pulled upward, an Easter message appears! 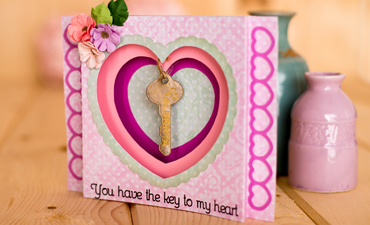 A shadow box with an engraved hanging key! Use our engraving tool to make a custom key with a name or special message. 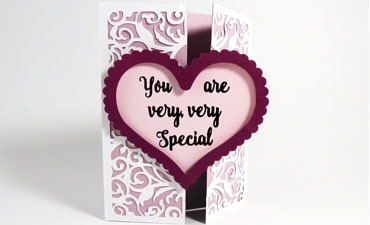 A card and gift in one for your loved one! 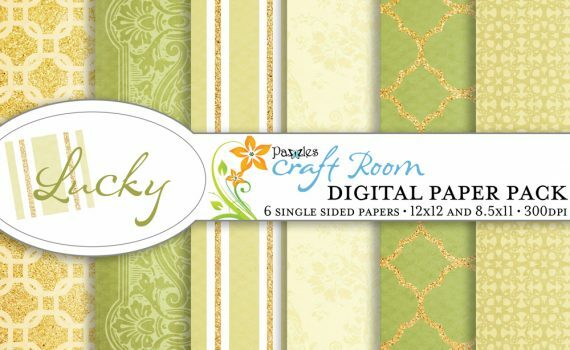 Fall in love with this collection of papers in creams and spring greens with gold accents. 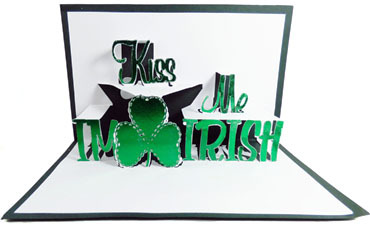 Let these papers inspire you for St. Patrick's Day, spring, Irish themes, and all year around! 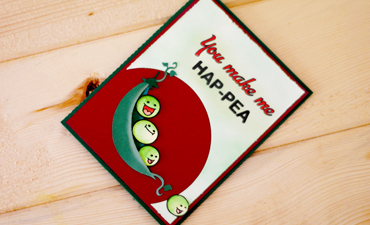 The perfect pop up card to give your significant other for St. Patrick's Day! 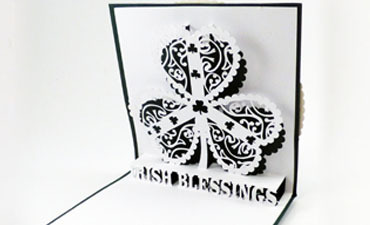 Everyone will love the wow factor of this Irish Blessings card with a beautifully ornate shamrock pop-up design! 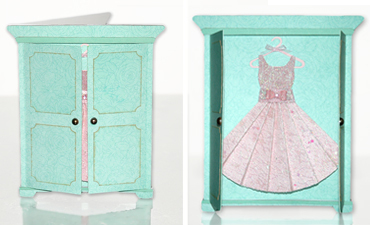 This adorable box is so easy to make you will be done in 15 minutes. 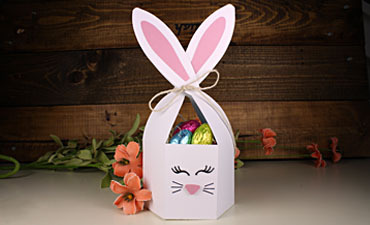 A surprisingly large capacity box, it easily ties shut with a ribbon around the bunny's ears! 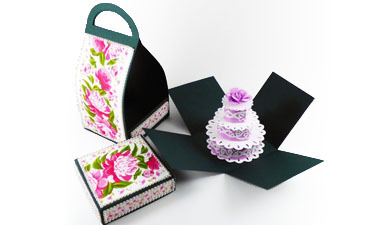 The outer bag of this ensemble makes a lovely gift wrap and the recipient will be delighted when the lid is removed from the exploding box, and the sides drop down revealing a 3d cake with a beautiful rose on top! 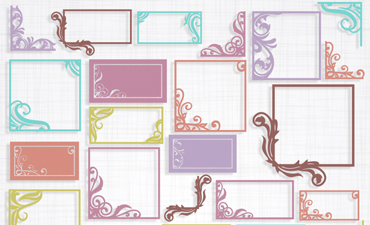 Use these pretty frames and corners to embellish card corners, photographs and sentiments. In rectangular, solid, square, and single corner options you can use these for virtually any project! 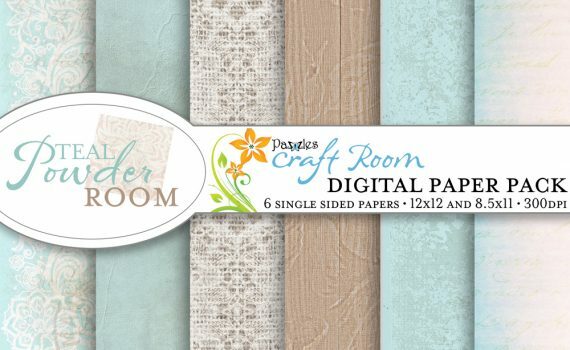 Soft teals, faded florals, and delicate lace create this beautiful set of 6 digital papers inspired by a lady's powder room. Celebrate Easter in all its soft and cheerful shades with this beautiful color palette! 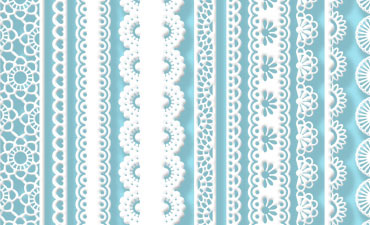 A set of 10 lace ribbon designs that will bring a touch vintage femininity to any project. Soft pinks, faded florals, and delicate lace create this beautiful set of 6 digital papers inspired by a lady's powder room. This little spinning box reveals a hidden treat. 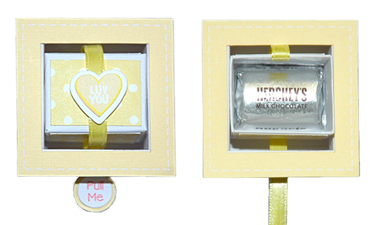 All you need is a straw, paper and ribbon! It is the perfect treat box for any age!